Don’t Pluck! 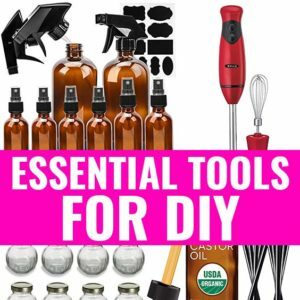 Top 5 Essential Oils for Ingrown Hairs - beautymunsta - free natural beauty hacks and more! 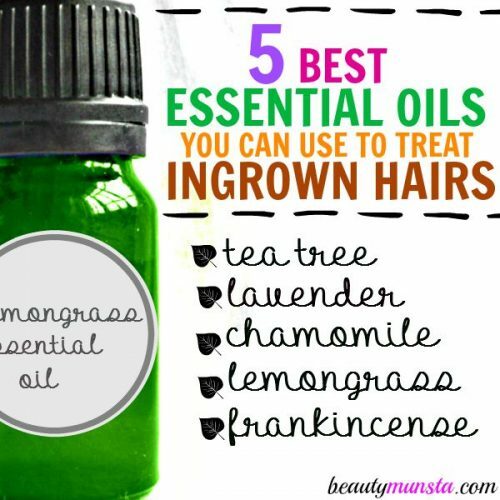 Don’t pluck when you any use any of these top 5 essential oils for ingrown hairs! Ingrown hairs are the bane of smooth and flawless skin! So many people complain of getting ingrown hairs especially those who shave or tweeze body hair. The worst part is most end up picking the ingrown hairs (something you should never do!) which leads to infection, and turns them into boils. Ingrown hairs are tiny body hairs that curl inward instead of growing out of the surface of your skin. This leads to tiny bumps or dots on your skin that sometimes itch, have pus and are inflamed. Ingrown hairs mainly show up after shaving/tweezing and even waxing and they totally spoil the look & feel of smooth skin. Curly haired people suffer the most from ingrown hairs because of their natural hair growth pattern. If you do have ingrown hairs, here’s a genuine tip from me –don’t stress over it and NEVER pick at it – you’ll just make it a lot worse. Instead , take easy & effective measures to help get rid of them, treat them and prevent more from showing up. Exfoliate, exfoliate, exfoliate. Before a shave/tweeze, use a good homemade brown sugar, olive oil and tea tree scrub to slough off those dead cells that can clog pores and cause ingrown hairs. You can also use almond meal mixed with yogurt as a scrub to gently loosen barbed ingrown hairs. Do an ACV soak. Mix 1 part of organic apple cider vinegar (with the mother) with 3 parts water. Heat until hot but not too hot. Dip a clean washcloth, wring and place it on the affected areas e.g. knees, elbows. Hold for a minute and repeat. Try not to shave too closely as this can leave tiny openings for bacteria to slide through and turn the ingrown hair into a pus-filled boil. Use coconut oil or shea butter, which are natural antiseptics/bactericides, in place of shaving cream. ► Tea Tree Treatment: Mix 7 to 10 drops of tea tree essential oil in 1 ounce of shea butter. 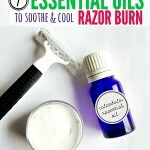 Store this in a small amber mason jar and apply this over your skin after shaving. This keeps your skin well-hydrated, moisturized and free from germs, thereby warding off ingrown hairs. ► Lavender Shaving Cream Recipe: Place 1/2 cup of coconut oil and 10 drops of lavender essential oil in an electric stand mixer. Beat for 4 minutes till you end up with a creamy white mixture. Transfer to a ball mason jar. Smooth over skin before shaving. If you don’t have an electric stand mixer, you can use a hand mixer instead. 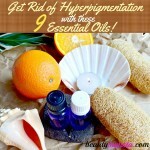 This essential oil is also great for relieving dry skin! Dry skin is more prone to ingrown hairs than well-hydrated and moisturized skin. 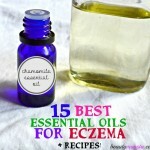 German essential oil is one of the best essential oils for dry skin. By balancing skin sebum levels, german chamomile essential oil will keep skin ever moisturized and lubricated, thereby warding off pesky ingrown hairs. 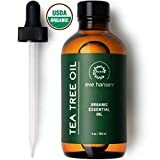 ► Moisturizing Massage Oil: Massage your whole body or the areas prone to ingrown hairs with an oil blend of sweet almond and german chamomile oils. 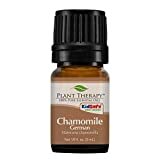 Make your oil blend by diluting 20 drops of german chamomile essential oil diluted in 1 cup of sweet almond oil. Store in an amber glass bottle. Gently massage a little of this blend onto your whole body just before soaking in a bath. 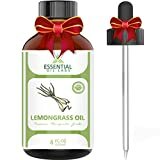 Also referred to as Indian Verbena, lemongrass essential oil is native to India, where it is known and used for its powerful healing benefits. It is extracted from lemongrass, a sweet smelling grass that grows wildly in India. For skin, it is valued for its antibacterial, astringent, deodorant, antiseptic, anti-fungal and skin rejuvenating properties. It’s used for getting rid of cellulite, toning oily skin as well as opening blocked pores and ingrown hairs. Its antibacterial and antiseptic properties will keep an ingrown hair away from infection and turning into a boil. 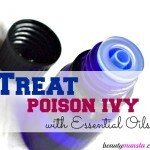 Be cautious with this essential oil as it is skin sensitive. ► Anti-Bacterial Treatment: In a small amber glass dropper bottle, mix 1/4 cup of jojoba oil and 7-10 drops of lemon grass essential oil. 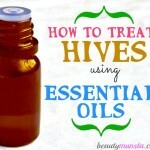 Place a drop of this treatment on the ingrown hair(s) to disinfect and speed up healing. Frankincense essential oil is one of my favorites and it’s definitely on my five must-have essential oils list. It’s extracted by steam distillation from the oleo gum resin and it the tree is native to Arabia and Somalia. It contains potent antiseptic properties that make it good for protecting an ingrown hair from germs and infection. ► Direct Application: Frankincense is one of the few essential oils that can be applied ‘neat’ onto the skin. Instead of tweezing an ingrown hair, just place a drop or two on your ingrown hair using a glass dropper. If you have sensitive skin, first dilute the frankincense in a carrier oil like jojoba oil or rosehip oil before applying. f using an essential oil for the first time, add a few drops to a carrier oil (1 drop in 1 tsp of carrier oil) and apply on your inner elbow to see it is safe for you to use. If you are pregnant or nursing, avoid using essential oils on your body before consulting your doctor or healthcare professional. People suffering from epilepsy, hypertension, asthma and other chronic health conditions must always seek medical advice before using essential oils. 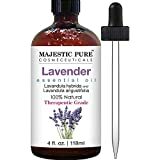 Always buy 100% pure and high quality essential oils!